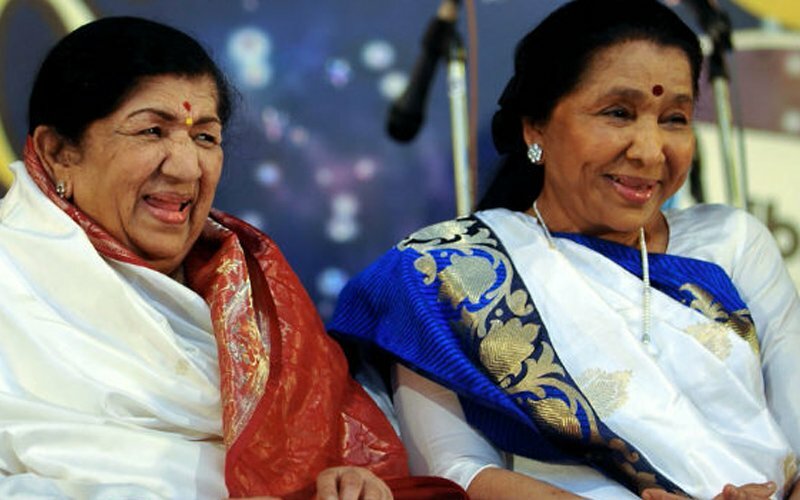 We all know that the Mangeshkar sisters have made a mark in the industry with their singing prowess. 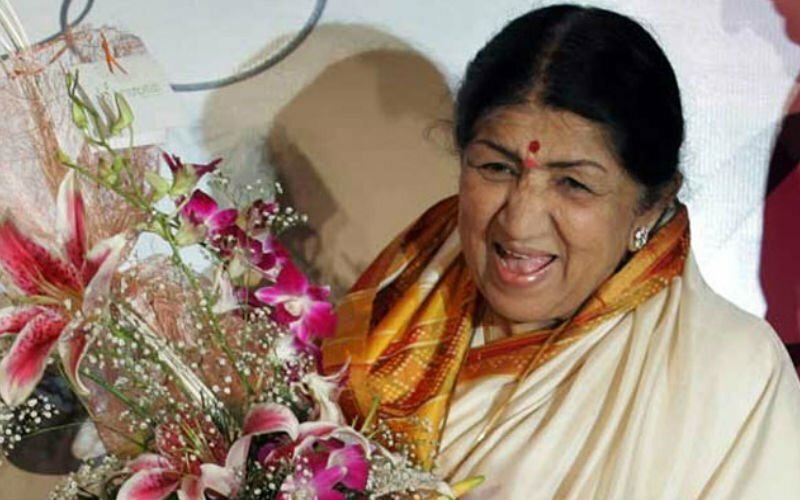 But interestingly, the songstress Lata Mangeshkar also spilled beans on one hidden talent of the family. 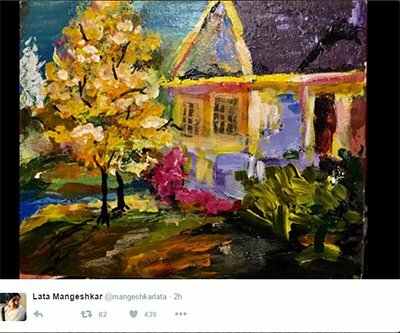 Lata took to twitter to express happiness about her bedroom turning a tad more colourful with the paintings by her grandchildren. 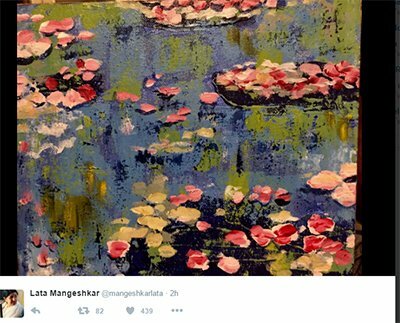 Lata shared the pictures of the paintings by Asha Bhosle’s grandchildren Ranjai and Zanai. The children had gifted these paintings to her on her birthday when they were 8 and 9 years old respectively. The songstress also shared that her younger sister- Meena Khadikar’s granddaughter Saanjali had also gifted her a painting.  This was when Saanjali was 9 years old. Lata has decorated her bedroom with all three paintings and also appreciated the talent in the children. 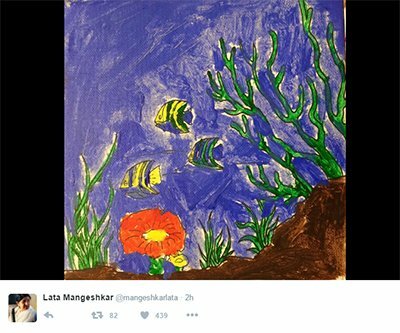 Also she did not forget to mention that the art has been passed on to the younger generation from Lata’s mother Shevanti. 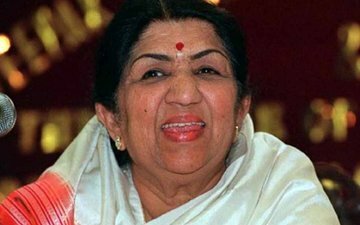 Recently the 87- year old, had appealed to her fans to not send her cakes and greeting cards on her birthday and instead donate money to the Army Welfare Funds (Lata Mangeshkar Has A Birthday Wish! 24 Sep 2016).